Anglo-Eastern Plantations PLC Thursday said it is producing more crude palm oil using its own fresh fruit bunches which has allowed it to reduce the amount it purchases from nearby farmers as the company reported an overall rise in production in the first quarter. Anglo-Eastern is operating its own plantations in Indonesia and Malaysia where it grows the fresh fruit bunches required to produce crude palm oil, but like others in the industry also purchases additional fresh fruit bunches from third parties. Anglo-Eastern produced 187,000 metric tonnes of fresh fruit bunches in the quarter, 9.0% higher than the previous year when it produced 172,200 metric tonnes as the company was able to benefit from its plantations maturing in Kalimantan on the Indonesian island of Borneo. As a result, the amount of fresh fruit bunches purchased from elsewhere fell by 13% in the quarter to 110,800 metric tonnes from the 127,900 metric tonnes last year. Overall crude palm oil production in the first quarter of 2016 was 9.0% higher than a year ago totalling 63,200 dry metric tonnes compared to 58,200 dry metric tonnes, and said this was mainly to an improved extraction rate. That suggests the total amount of fresh fruit bunches produced or purchased in the first quarter was down to 297,800 metric tonnes from 300,100 tonnes last year - demonstrating the improved extraction rate. That means around 57% of the overall fresh fruit bunches obtained a year ago came from the company's own plantations whilst the other 43% came from third parties compared to the most recent quarter when 63% came from its own plantations with the other 57% coming from third parties - showing a slight shift in the past 12 months. Due to the agricultural nature of the company and its operations, Anglo-Eastern continues to form new plantations to keep its production cycle going. Anglo-Eastern said it planted a total of 186 hectares in the first quarter of 2016 - less than it was targeting. "As reported previously this was primarily due to delays in settlement with the villagers for land compensation payments. These negotiations are continuing and management is confident that some of these negotiations will be concluded successfully," said the company. "The replanting of circa 1,500 hectares in North Sumatera will start in the second quarter of 2016 and should be completed by the year end," Anglo-Eastern added. Anglo-Eastern also said the biogas plant in Central Kalimantan is around 75% complete and should be up and running by the start of the fourth quarter of this year. Civil works for a third biogas plant has started in Bengkulu, which is in line with its plans to reduce its carbon footprint and emissions. Adding to the positive results was an improved crude palm oil price, which has risen 12.5% from the USD560 per metric tonne price at the start of the year to USD630 per tonne. However, that price is still 6.0% lower than the average USD669 price in the first quarter of 2015. Prices also seem to have continued improving as Anglo-Eastern said the crude palm oil price stood at USD731 per metric tonne at the end of March - 30% higher than the price at the start of the year, 9.2% higher than the average price in early 2015 and 16% higher than the average price over the first three months of 2016. 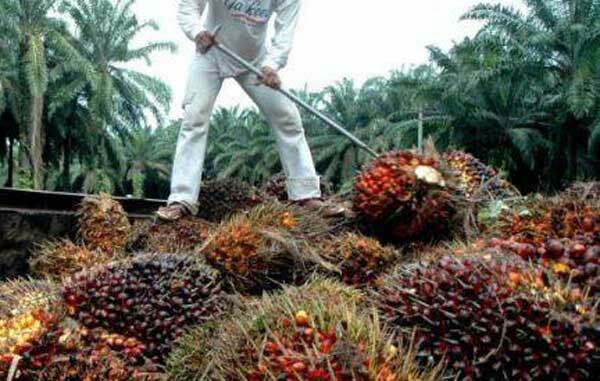 "The crude palm oil price is expected to remain strong until at least the end of June 2016 due to concerns over weaker crude palm oil supply resulting from the El-Nino effect and the heat wave experienced in Indonesia and Malaysia," said the company. "The improving crude oil prices will also enhance the competitiveness and development in biodiesel which will result in a higher demand for crude palm oil," the company added. Anglo-Eastern said its balance sheet remains strong and cashflow is still positive. Long term development loans totalled USD35.8 million at the end of March, rising from USD34.9 million at the end of March 2015 after the company made a drawdown in February. More importantly, the company still has considerably more cash than it does debt, posting a net cash balance at the end of the first quarter of USD67.3 million. Anglo-Eastern shares were trading up 5.5% to 480.0 pence per share on Thursday morning.